Grave marker for Charles F. Andrews in the Evergreen Cemetery, Watertown (Litchfield county), Connecticut. Charles registered for the draft ca. 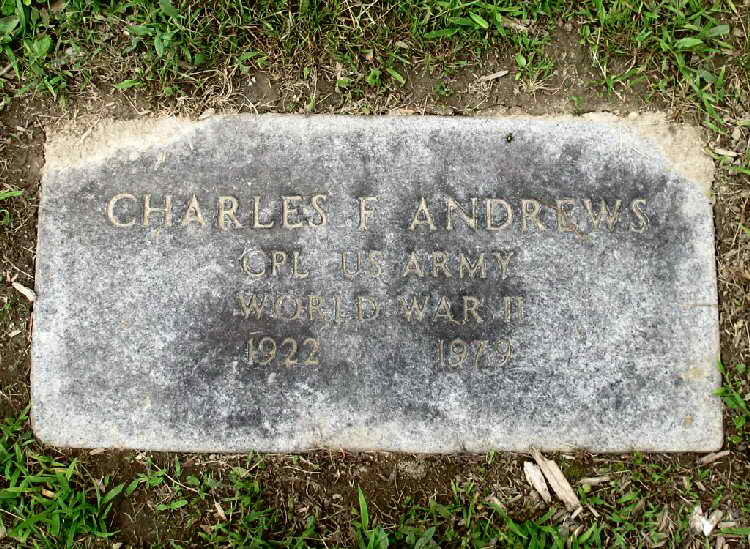 1942 and was inducted into the Army at Hartford, CT on 23 October 1942 and was assigned to Hq 2nd, 508th PIR..
Pfc Andrews was wounded in action on 3 July 1944. He was promoted to Cpl on 22 October 1944. 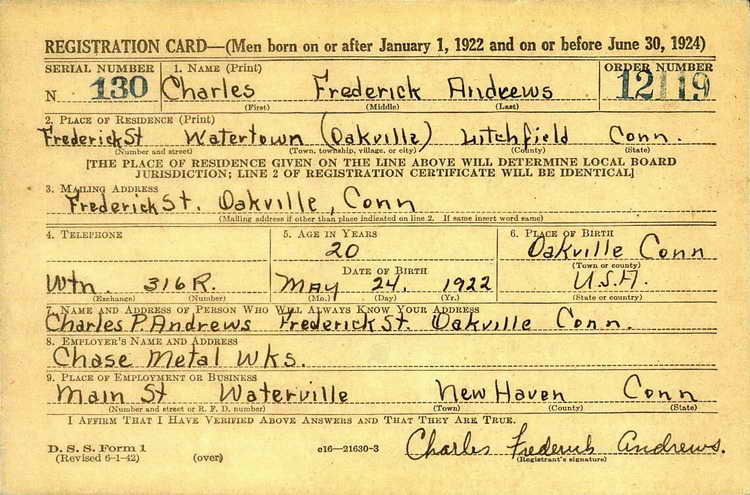 Cpl Andrews was transferred to the Reception Station at Fort Devens, MA on 21 May 1945 ad was discharged 10 days later.